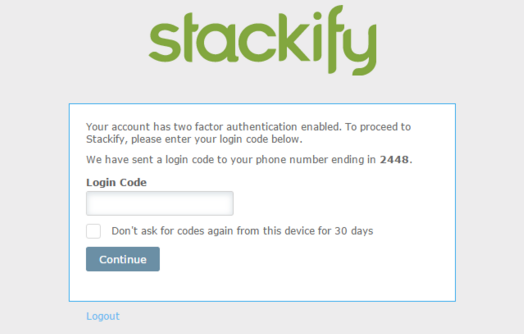 This article is intended to walk you through how to set up two-factor authentication (2FA) for your Stackify account. It is also referred to as multi-factor authentication (MFA). You will want to navigate to the User Details page by selecting the user icon on the upper right corner of the page. The individual User Details page is where you can opt in to 2FA. This setting is configured on a per user basis. After enabling 2FA, you will have two different methods for account validation. 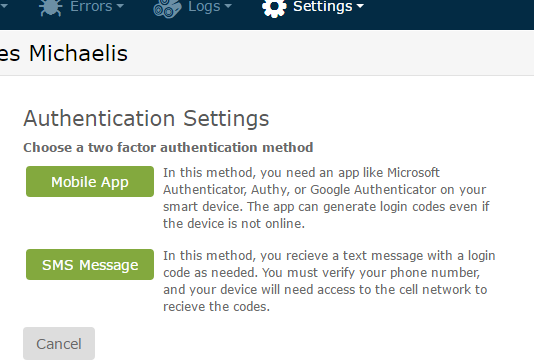 Here you can choose to have a text message sent to your cell phone, or you can use an authenticator app that will provide generated codes. Once one of the methods is selected and verified, you will now be enrolled in 2FA. You will now be prompted to enter in a code in addition to logging in via your email and password. Simply enter the code from the authenticator mobile app or text message. 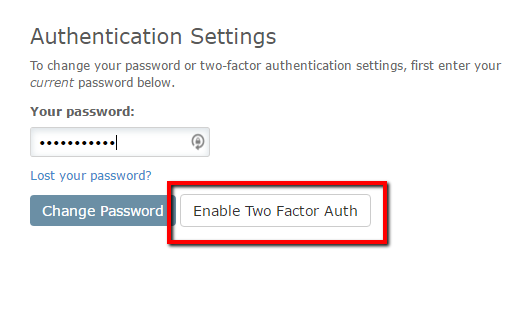 To disable 2FA for your account, you will want to navigate to the User Details page again and select "Disable Two Factor". If you are the only account administrator and lost access to your 2FA device, please contact [email protected].